Luontolaulu leads you into the culture of nature and music through your own experience. We explore nature connection in traditional folklore, breathing, syllables, sounds and simple songs. Be prepared to get refreshed, restored and inspired! It is not silence that relaxes us in nature, but the soothing sounds we hear and feel. Were there a complete silence in nature, we wouldn't be able to relax, in fact, according to science some of us might even experience discomfort and fear. The sounds of nature, chirping birds, wind whispering in the leaves, icy rivers singing in the Fall, connect and soothe us and bring us the feeling of belonging. Luontolaulu calls you to relax through hums, tonings and simple melodies. It opens your senses through listening and feeling and restores the connection to nature. You will be able to capture those experiences and take them with you to your every day life. 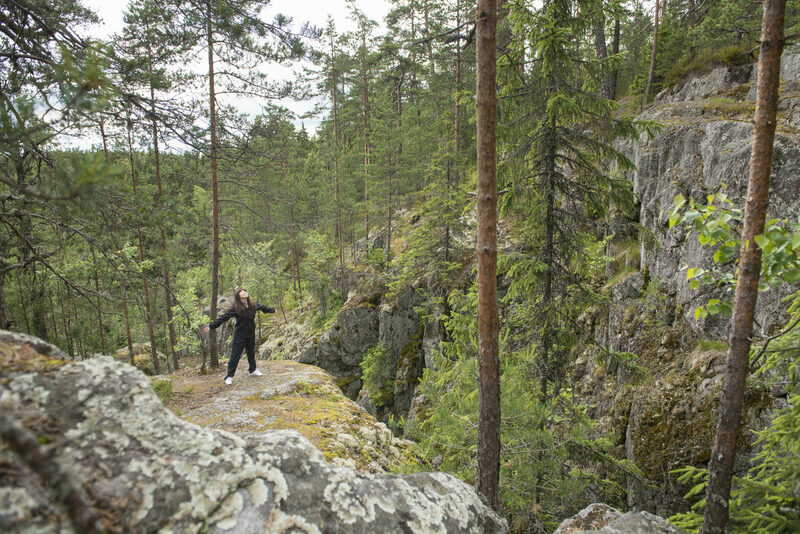 Luontolaulu brings nature to your every day. Luontolaulu Workshop takes place at our headquarters in Nuuksio. If tweather allows part of the workshop could be held outdoors. SoundByNature Inc is an official partner of Metsähallitus which administers more than 12 million hectares of state-owned land and water areas.